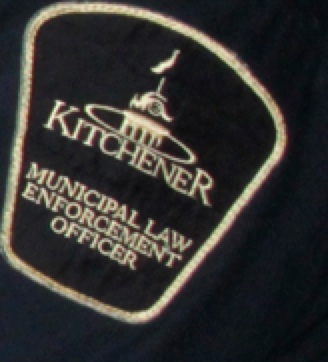 This is a MHBPNA community service re-posting of an important City of Kitchener announcement. We would not want anyone to have to pay a parking ticket if it can be avoided. KITCHENER – Kitchener residents are reminded that winter parking regulations are in effect beginning Sunday, Dec. 1 through March 31 every year, and that no parking is permitted on streets from 2:30-6 a.m. The city’s tag-and-tow bylaw will come into effect anytime a snow event is declared. The tag-and-tow bylaw prohibits parking on city streets anytime during the snow event. A snow event is declared when a significant snowfall is predicted based on credible weather forecasts. When a snow event has been declared, the decision will be communicated in several ways including the city’s website – kitchener.ca – by e-mail to residents who sign up to receive the city’s snow-event advisories, by SMS text message, and by alerting local media. During snow events, bylaw staff will ticket vehicles parked on local streets and may tow vehicles if they interfere with snow removal. The amount of the ticket for vehicles parked on the street during a snow event is $80. Vehicles that are towed will be relocated to another area in close proximity when it is safe and practical to do so. However, it may be necessary for some vehicles to be impounded at the owner’s expense. If you suspect your vehicle has been towed, or to report parking violations, please call 519-741-2345.
drivers must not drive over the grass portion of the boulevard to park on the driveway. This change will also allow the plows to get through the streets in the winter months to clear snow. During a snow event, it will give home owners a place to park their vehicle (on the driveway portion of the boulevard) to allow snow plows easier access. This change is for Ward 5 residents only. If you are not sure what ward you live in, or have any questions please visitwww.kitchener.ca/whatsmyward or call 519-741-2345. The impact of these temporary changes to the current parking regulations during this pilot will be assessed, and staff will report back to council in 2014 with recommendations on a long-term solution. For more information about winter parking, the city’s tag and tow bylaw and snow removal activities, visit kitchener.ca/tagandtow or call519-741-2345.